With cannabis legalization fever heating up across the globe, and much speculation that the plant will be made legal at federal level in the States in the near future, some serious cannabis movers and shakers are cementing their legacies, while new names are starting to emerge. Here’s a list of the ten top U.S. cannabis movers and shakers in 2018. Few people in the world of cannabis don’t know the name Steve DeAngelo. As a long-time cannabis activist, entrepreneur and educator in a career spanning 40 years, today DeAngelo is the CEO of Harborside Health Center in Oakland, California, and a regular speaker at international industry events. In April of this year, Forbes magazine named DeAngelo one of the seven most influential people in the marijuana business. DeAngelo is also one of the co-founders of the Arcview Group, set up to introduce investors to the best and brightest cannabis entrepreneurs. So far, Arcview has raised at least $70 million for more than 100 companies since its 2010 inception. Wanda James is the owner one of Colorado’s best-known dispensaries: Simply Pure. As a former Navy lieutenant and political campaign manager who worked on Obama’s financial committee and the Amendment 64 Task Force that laid the groundwork for regulating recreational cannabis in Colorado, few dispensary owners are as clued-in or well-connected as James. Not only is Simply Pure the first Colorado dispensary run by African-Americans, it’s also known for its political activism, with James and her husband, Scott Durrah, a former marine and certified chef, actively campaigning for the rights of cannabis patients and ex-army vets suffering from PTSD. James is also CEO of the Global Cannabis Initiative, an organization dedicated to the sustained growth and regulation of the cannabis industry. When Whoopi Goldberg launched a line of cannabis products with her business partner, Maya Elizabeth, the award-winning edibles maker, in 2016, little did they know that their brand of pain relief creams for women would become the fastest growing cannabis brands of 2017. Their chic product line includes four categories: savor, soak, relax and rub. Savor is a raw cacao spread infused with organic cannabis to create a super food that is both gluten free and vegan. Soak is a lavender bath soak infused with cannabis and restorative salts. Relax is an herbal tincture with cannabis, elderberries, raspberry leaf, motherwort and passionflower that can be consumed as a hot or cold beverage. Finally, rub is a luxurious body lotion that blends cannabis with a mix of herbs that can be used to soothe menstrual cramps. 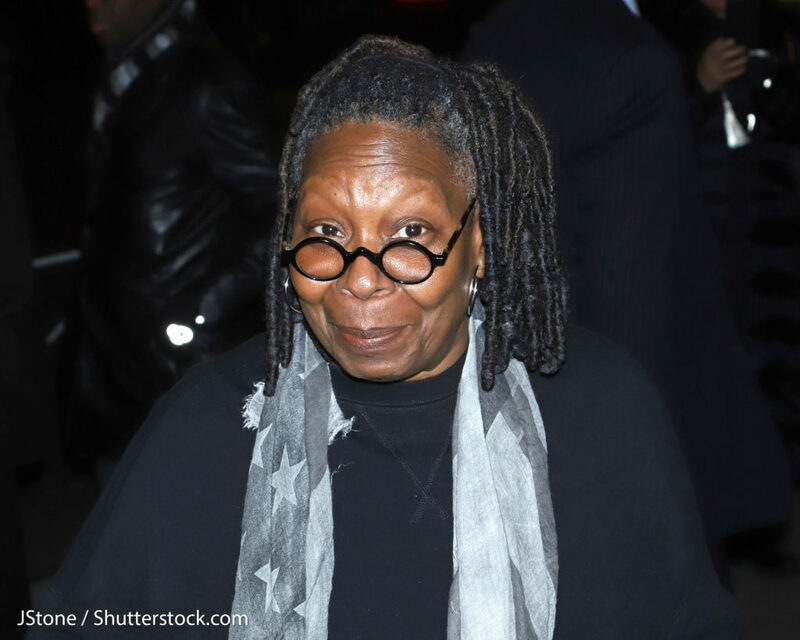 Today, Whoopi and Maya products are available in more than 300 stores in California. One of the most important jobs in the current cannabis climate is that of the educator, the people who use their expert knowledge to promote the positive benefits of cannabis. One of the next generation educators is biologist Emma Chasen, who previously worked at Portland’s Farma dispensary where she was voted best bud-tender and promoted to general manager. She then teamed up with the Sativa Science Club to create a series of affordable online cannabis courses. Emma’s hands-on style and deep well of knowledge is popular with young cannabis users. 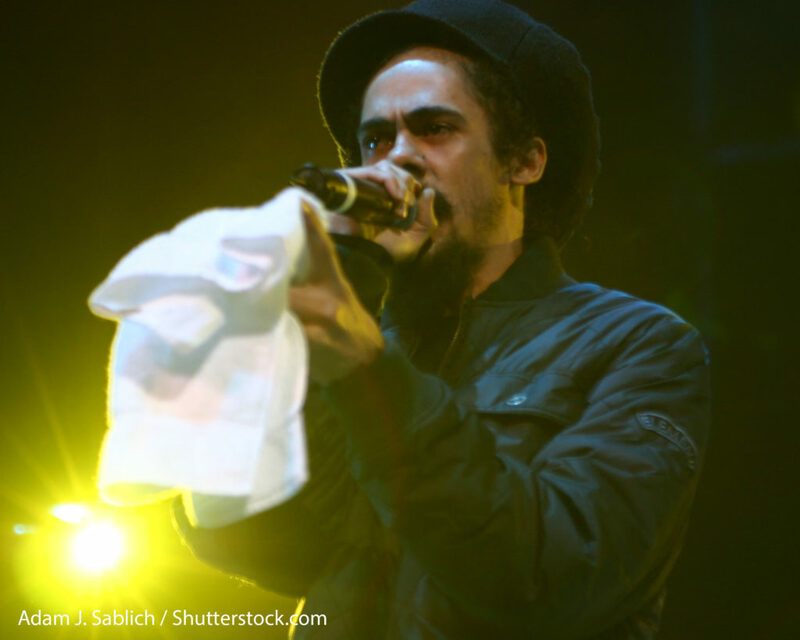 The youngest of the legendary Marley tribe, Damien AKA Jr. Gong has been making big waves in the cannabis world for the last few years, but ramped up his involvement in 2018 by opening a dispensary in Colorado named Stony Hill, in partnership with Tru Cannabis. The name Stony Hill has a special place in the reggae star’s heart, as it’s where he was born in Jamaica. As part of a cross-promotion strategy, Stony Hill is also the name of his latest album released this summer. He also partnered up with Ocean Grown Extracts to grow marijuana in an abandoned prison in Coalinga, California, and he teamed up with a group of investors to buy into High Times magazine. No list of cannabis influencers is complete without Keith Stroup’s name on it. Stroup is the founder of the National Organization for the Reform of Marijuana Laws (NORML), and serves as legal counsel for the organization. When Stroup set up NORML in 1970 only 12 per cent of the American population was in favor of legalization, but that didn’t deter the attorney. Today, NORML has 135 chapters with 550 lawyers, is the largest grassroots marijuana movement in the world, and 2 out of 3 Americans support the legalization of cannabis. The Diaz brothers are not only two of the most dangerous fighters on the MMA scene today, they’re also two of the most vocal advocates for marijuana, claiming weed is key component of their successes, and calling it a performance enhancer. Nick (34) holds a record of 37 fights with 13 knockouts, and Nate’s (32) record comes in at 31 fights with four knockouts. Both brothers are Jiu-Jitsu black belts, compete in triathlons, and are committed to busting stereotypes around cannabis. Neither shy away from controversy either. Nick has been suspended three times for blazing weed, and more recently, in 2016, Nate received a warning when he vaped at a UFC press conference after a fight. As the legalization movement progresses opening the door for a wide range of cannabis products with potentially beneficial effects for many conditions including epilepsy, anxiety and obesity, it’s never been more important to have access to impartial scientific research. So says Dr. Joshua Kaplan, a neuroscientist and science writer for leading cannabis titles including Leafly and High Times. Expect to hear a lot more from Kaplan in coming years as he continues his research championing the health benefits of cannabis. For anyone who wants to keep up to date on the latest cannabis news from America and around the globe, Tom Angell is the man. His weekly newsletter, Marijuana Moment, covers all the latest political and legal moves related to cannabis, while his Twitter feed is rare source of real-time news with lots of exclusives and tips. Angell also chairs the non-profit Marijuana Majority. Much like DeAngelo and Stroup, no list of cannabis movers and shakers is complete without Snoop, the OG weed rapper turned cannabis media mogul is possibly the plant’s most well known advocate. Snoop has invested in many cannabis ventures including the media platform Merry Jane, a brand of cannabis products called Leafs by Snoop and the venture capital firm, Casa Verde. Since setting up Casa Verde in 2015, Snoop has raised more than $45 million in investment funds for cannabis ventures. The post 10 of the Top US Cannabis Movers and Shakers appeared first on Sensi Seeds Blog.